Following my recent theme of using Linkedin to grow your professional network, is my latest blog on following Company and Group pages. Choosing who to follow can make all the difference when it comes to building better business. Here are a few tips (with thanks for the assistance of contributor and Social Strategist Aaron Robottom). •	View recent updates about your target companies (including company news, job openings, new hires, and recent employee departures) to learn what the specific target organisation is up to. •	Engage by ‘Liking, Positively Commenting, or ‘Sharing’ your target company’s updates. The company will appreciate the positive attention, and demonstrate you are truly interested in their activity. •	When visiting an organisation’s Company Page, you can identify ‘How You Are Connected’ on the home page, and see who you know at the company. This knowledge can be used by asking key connections to help you with introductions, or potentially assist in making the sale. •	Realise also that a representative at each target company can ‘actually’ see who is following their company page. By appearing on their followers list, you’re telling companies that you are interested in them, which could be a huge plus if you are trying to gain interest in the products or services you sell. •	Visit Interests / Companies / Search Companies. •	Under ‘Location’ Click the Add link under Location and type the required city into the search box. •	Under the Industry tab, select ‘Financial Services’ from the list, or add a different industry by clicking the Add button. Search the results and follow your preferred companies, or use the tools on the left, such as ‘Company Size’, to narrow your search. LinkedIn Groups bring together career-minded professionals to share ideas and potentially do business. Productive relationships can be built and leads can be generated into revenue. Active groups, with effective moderators and guidelines, can deliver some great benefits. So before joining, get a sense of the group’s agenda and join those that appear to be productive information exchanges. 1. Gaining Advice: A LinkedIn Group is essentially a forum, and you’ll find it’s the perfect place to ask questions and get differing points of view from like-minded professionals. Remember to play this both ways and look for questions you can answer intelligently. Group members will notice and dialogue is likely to ensue. 2. Achieving Status: Active participation in LinkedIn Groups can elevate your reputation as an expert, by offering your advice, recognising the ideas and accomplishments of others, and passing along helpful information. Online users refer to this as ‘social currency’, which can lend itself to positive referrals, content sharing, and most importantly new connections. 3. Obtaining Content: Finding time to achieve our networking goals can be difficult, and even more so can be sourcing consistent content to share with your network. 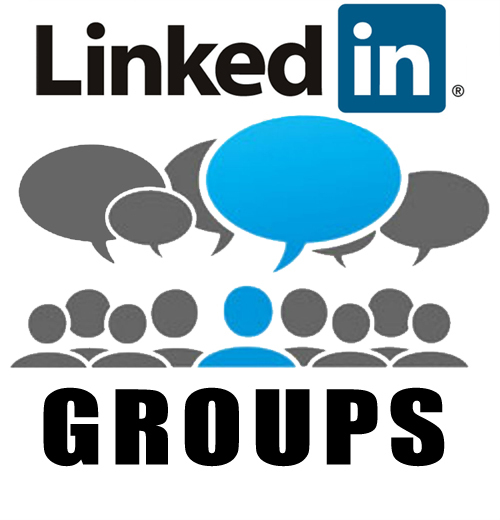 Linkedin Groups can be a valuable, relevant source of quality information, which is generated by like-minded individuals. Even better, group discussion topics and articles can be shared straight to your feed, which also drives awareness to the group itself to attract new members. 4. Discovering Knowledge: By joining Linkedin Groups, you’re going to make discoveries, open your world up to new tools, software, information resources, speakers and authors, innovations and ideas, and much more. 5. Directing Traffic: A common social media blunder is to come on too strong with sales pitches and promotions, which often jeopardises your relationship with your audience. However, a savvy approach is to instigate an update or reply by directing readers to your website, blog and videos. Links are a valuable tool, and you’ll find many participants will touch lightly on their answer to a question, before referencing an online resource where they’ve published a deeper examination of the issue. 6. Establishing Clients/Partners: More so than any other social media platform, Linkedin Groups take the form of old-fashioned networking. Keep your eyes open to potential opportunities and gently suggest your services. When you consider pursuing the subsequent negotiations, try engaging this conversation in a private format, so as to not bore and turn off the group bystanders who’d rather not see the page’s real estate populated with negotiations. 7. Generating Opportunities: Business opportunities are bound to surface through the use of Linkedin Groups. Some less surprising examples might be opportunities to host speaking engagements, invitations to guest post, and requests for interviews. Linkedin Groups are, in fact, opportunities. There may be similar online arenas created expressly for your industry, offering similar features and benefits, however with its hundreds of millions of active members, Linkedin’s Groups component is today’s epicenter of the industry-specific forum.